From the naturally existing water,concrete is the next widely used product.Concrete represents the foundational aspect of every building and structure thus special emphasis must be applied in the construction to ensure high quality and longevity of the building is attained.Concrete pumping equipment should therefore be selected with caution and maintained to deliver good concrete free of air and well mixed for high quality. Inevitably,during construction,certain areas will be inaccessible for normal delivery of the concrete mixture. Concrete pumps are specially designed to deliver this mix.Direct acting pumps are designed to deliver concrete over more than 1000 meters horizontal distance, and can rise the mix to 120 meters height.Therefore they have greater functionality and can deliver greater volumes of concrete. Peristaltic pumps operate through a vacuum system and can cover a horizontal distance of 90 meters and an elevation of 30 meters.Pumping of concrete also reduces handling which could affect the quality of concrete. Heat results from cement hydration reactions and can result to cracking once the cement has set.The intensity of these reactions is determined by the amount of clinker in the cement itself.Frictional forces during pumping could also lead to heat evolution and should be minimized. The flow rate of a concrete mix is a critical consideration during pumping. Construction engineers use various techniques to determine this flow rate to achieve longer lasting concrete structures. The Bingham model is one of the techniques used for determining the interparticle friction but is currently being replaced by rheometers.These equipments have proved very useful in handling of self compressing concrete. Certain characteristics of concrete are important for a successful concrete pumping operation;these include. The concrete mixture should neither be too dry ,nor too wet for easy movement through the system. Friction is a major consideration in pumping and an adequate amount of water is required.Presence of a motar film at the walls of pipes also enhances lubrication. A higher percentage of cement is beneficial for concrete pumping. The size and shape of aggregate as well as presence of air in the mixture interferes with effective pumping of the mixture.Too much air could restrict pumping. The transportation and delivery of concrete to the site affects their durability. Concrete pumps must always be at their highest efficiency to avoid this delay. Durability index is a method used to determine the stability and hardiness of a concrete structure. Air may get introduced during pumping and make the concrete unable to resist temperature fluctuations.This leads to reduced longevity of the concrete. The concrete pump is a critical requirement in delivery of concrete to inaccessible sites. 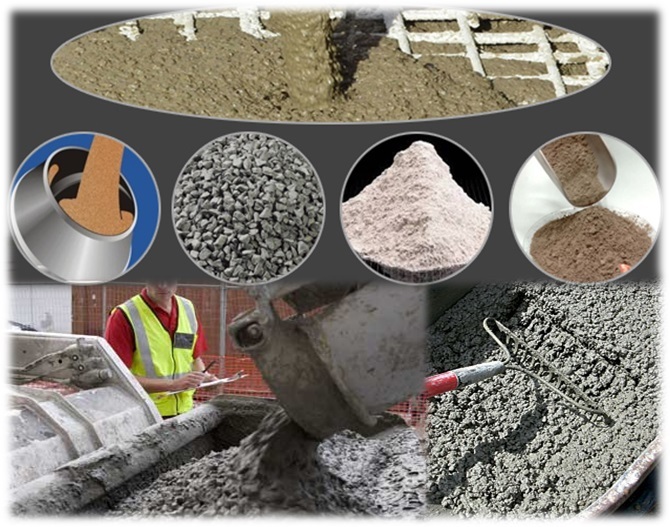 It helps reduce handling and delivery time of the mix which are critical in the durability of concrete.Two particular designs of concrete include the direct pumping system and the peristaltic systems.Proper proportioning of mixed concrete enhances setting,transporting and durability of the concrete.